The Willard Companies has helped transform Smith Mountain Lake from a sleepy rural valley into a resort area that attracts people from more than 40 states to enjoy golf, recreation, and resort living. The Willard Companies is the umbrella for Willard Construction of Roanoke Valley, Inc., Waterfront Properties, The Waterfront, The Water’s Edge, and The Westlake Golf & Country Clubs, and The Boardwalk. The companies are involved in building, developing, marketing and country clubs. The company is also associated with Westlake Towne Center, Smith Mountain Building Supply, Westlake Cinema, Westlake Salon & Spa, The Cabinet Gallery and The Farm at Smith Mountain Lake. Today, second-home and retirement couples looking for a wide range of activity in an idyllic setting need not look beyond the Blue Ridge Mountains. Willard’s real estate company, Berkshire Hathaway HomeServices Smith Mountain Lake Real Estate is an established leader in selling premier lake properties since the company formed in 1987. Berkshire Hathaway HomeServices Smith Mountain Lake Real Estate, is at the forefront of upscale, masterplanned communities at Smith Mountain Lake. The company has been associated with thousands of families from across the country and a handful of foreign countries who’ve chosen to move to the lake either for their retirement, as a second home, or to make it their permanent home. Berkshire Hathaway HomeServices REALTORS® are consistent leaders in sales as well as customer and client service. In 1976, Willard started The Waterfront, Smith Mountain Lake’s first country club community. The Waterfront encompasses 750 acres and 8.5 miles of shoreline. The 18-hole, PGA Championship Golf Course was designed by George Dillon of the Fazio Group. The 22,000 square foot clubhouse was planned by The Willard Companies in cooperation with Robert Bradley, AIA and Associates. Amenities include tennis courts, swimming pool, and fitness center, driving range, pro shop and fine dining. In 1985, The Willard Companies purchased an additional 712 acres on which to build a planned community called The Water’s Edge. The Willard Companies began development of the lake’s second country club community in 1986. With 13 miles of shoreline and more than 700 acres, this is one of Smith Mountain Lake’s most prestigious communities. The 18-hole, PGA Championship golf course was designed by R.F. Loving, Jr., ASGC, a nationally renowned golf course architect. The course was named one of Golf Digest’s five best courses in the country. In 2008, The Water’s Edge completed a $5 million course renovation by Aspen Corporation and golf architect, Richard Mandell and Aspen Corporation. Amenities include clay tennis courts, Jr. Olympic size pool, driving range, pro shop, fitness center, equestrian center and fine dining. Another addition to Willard’s development conglomerate is The Boardwalk, which is located on the lake’s west side. As its name suggests, the waterfront boardwalk is the center of this 100-acre community, measuring a half-mile in length. Nantucket-style cottages with lake-view porches and boat slips dot the waterfront, making it unlike any other Smith Mountain Lake community. In 1996, The Willard Companies purchased Chestnut Creek, a semi-private golf course and renamed it to The Westlake Golf and Country Club. The Westlake is cut out of the woods and a green that sits by one of Smith Mountain Lake’s many peaceful coves and inlets. The course carries the trademark touch of Russell Breeden, who designs courses with a mix of distance and accuracy making it challenging for all players. A restored farmhouse contains a pro shop and delightful restaurant. Banquet facilities are available for meetings, conferences and receptions. Amenities include a driving range, Olympic-size swimming pool and tennis courts. In January of 2000, The Willard Companies purchased Smith Mountain Building Supply located on the south side of the lake in Union Hall on Route 40. In 2001, the company opened a second store location on the west side of the lake in the Westlake Towne Center. Both locations serve builders and contractors on both sides of the lake. In the fall of 2001, The Willard Companies completed its first constructed facility in its commercial development, Westlake Towne Center. Since then, Westlake Towne Center is now home to a grocery store, a fitness center, coffee and deli shop, art, cabinet and design centers, banks, and several retail businesses. The Willard Companies also built a 50,000-square-foot shopping facility which is home to Westlake Library, Westlake Cinema and several retail businesses. 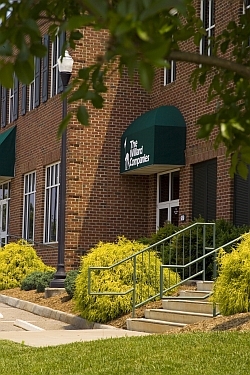 The business campus also includes Carilion Clinic’s Urgent Care and Imaging Center, Runk and Pratt’s Smith Mountain Lake Retirement Village and Assisted Living as well as Westlake Professional Park. Phase III construction will bring more office buildings, apartment living and additional retail shops. In 2005, The Willard Companies completed another noteworthy project, Westlake Cinema, a 13,800-square-foot theater featuring a four-plex movie theater, stadium seating, games and concessions. Westlake Cinema has Dolby® Digital Surround and optional headphones hooked to a USL Infrared Hearing System for those with hearing impairments. Westlake Cinema offers matinees throughout the day as well as show times during the evening. Movie tickets are available for purchase online or at the ticket booth located at the cinema. In 2007 the company broke ground on The Farm, their latest planned residential development. With a focus on preserving its rural Franklin County setting, The Farm will be the first community development at Smith Mountain Lake to incorporate “Green Building” Technology, which uses environmental friendly building materials and products throughout the home. In addition, the project will feature super high energy efficient designs to help consumers reduce their costs to maintain their homes. The Farm will feature 63 total properties at its location off Rt. 616 (Scruggs Rd. ), across from the esteemed community of The Boardwalk. Within the community, Hammock Pointe at The Farm will include 17 waterfront cottages featuring 3 architectural designs varying in square footage. The project will also feature 33 interior (water access) lots and 13 estate lots (3+) acres. Residents will enjoy walking paths, a picnic pavilion, pool, community dock and 17 individual boat slips. In 2009, the company acquired Westlake Salon & Spa. Located at Westlake Towne Center, Westlake Salon & Spa offers a full service of salon and beauty care services including hair services, facials, massage, body treatments, skin care, manicures, pedicures, and hair waxing. The state-of-the-art facility features the latest cutting edge technology for salon and spa services. Westlake Salon & Spa features eight styling stations, nail and pedicure center and separate leisure area. The spa facility offers an additional comfort zone area with a large flat screen TV and refreshment center. Today, The Willard Companies employ more than 200 people, including Ronald L. Willard, President, Ronald L. Willard II, Vice President, Lee Willard, Vice President Corporate Holdings, Cathie Daniel, Principal broker as well as a team of full time professional realtors, project managers, job superintendents, director of marketing communications, and other various staff members. The Willard Companies now include building and development businesses, commercial real estate rental, residential real estate sales, and re-sales.